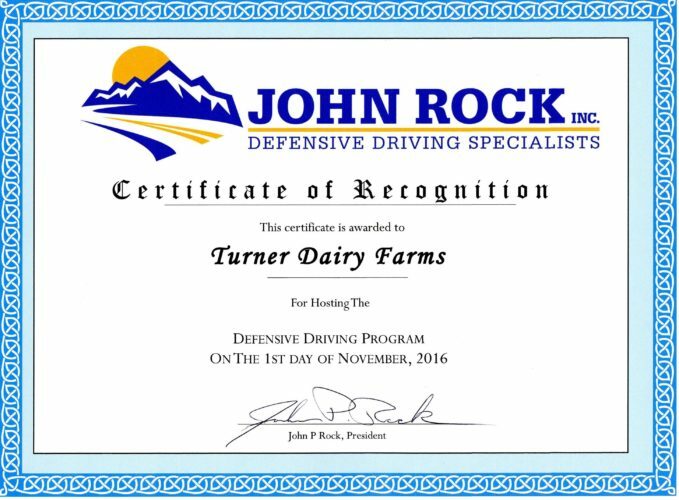 Congratulations to 56 Drivers of Turner Dairy, Pittsburgh! The drivers completed the Defensive Driving Program and are awarded certificates. Great company & drivers. Happy New Year!! Everyone here at John Rock’s Defensive Driving wishes you a very safe 2017.